Yesterday we blogged about hauling your Farmers Market windfall home on your bike. 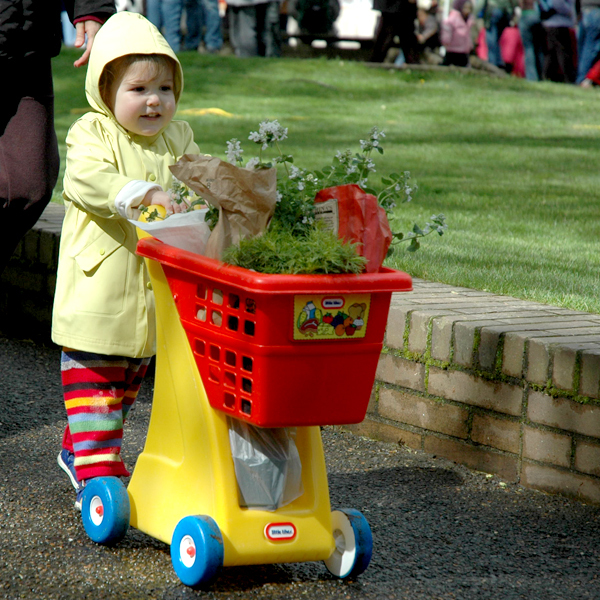 Today we introduce the walking shopping cart for your morning stroll to the market. Alan Durning at Sightline Institute has a fun essay singing the praises of the walking shopping cart, AKA "granny cart." There are now lots of models with different levels of strength, ease and style. The Cities 21 website has a nice summary of several different granny carts. Do you use a hand shopping cart? Do you think you would use one?